Longs Peak dominates northern Colorado and is one of the most famous 14,000-foot hikes in the state. Camp at its base, climb its face, and admire its beauty. The Classic Keyhole Route starts at Longs Peak Trailhead. It’s 15 miles long. Start hiking between 6am-7am, and summit by noon. Your descent should be 2-3 hours. Longs Peak Campground is great pitstop before or after hiking. There is a park entrance fee and camping fee. What can I do within the Longs Peak Mountain Range? Hiking: At 14,225 feet, Longs is the highest peak in Rocky Mountain National Park, and one of Colorado’s most popular ascents. A variety of routes lead to its summit. Camping: Hikers can pitch a tent at Longs Peak Campground, which is open year round. 26 spots are available for a fee, and are first-come, first-served—so arrive early! Scenery: The 13ers Mt. Meeker and Mt. Lady Washington sit beside Longs. Chasm Lake rests in their basin. How can I access Longs Peak? Several trailheads within Rocky Mountain National Park take you to Longs’ summit. No matter which one you choose, start hiking early (6am), so that you can reach the summit by noon. Be prepared for a 12-hour long trip. Longs Peak Trailhead: This trailhead is the most popular. From here climb the Classic Keyhole Route, which is the easiest route up Longs. It is 15 miles, and has spectacular views of Boulder Field and the Keyhole. Glacier Gorge Trailhead: Hike North Longs Peak Trail to Granite Pass for a longer approach (19.3 miles) with extensive views. This trail joins the East Longs Peak Trail. A second option from the trailhead is to hike Glacier Gorge Trail to Black Lake. Go around the lake. Follow the Keyhole Route to Long’s summit (14.0 miles). This route can have a lot of snow and unstable rocks. Copeland Lake Trailhead: This south approach takes you to Keplinger’s Couloir. It has less traffic than the Keyhole Route, and is an easy route (16 miles) but it has a steep elevation gain (5,900 vertical feet). Follow Sandbeach Lake Trail to Sandbeach Lake. Go NW to upper Hunter Creek. Hike past an unnamed lake into the basin of Meeker, Longs and Pagoda. Follow Keplinger’s Couloir to the Keyhole Route. 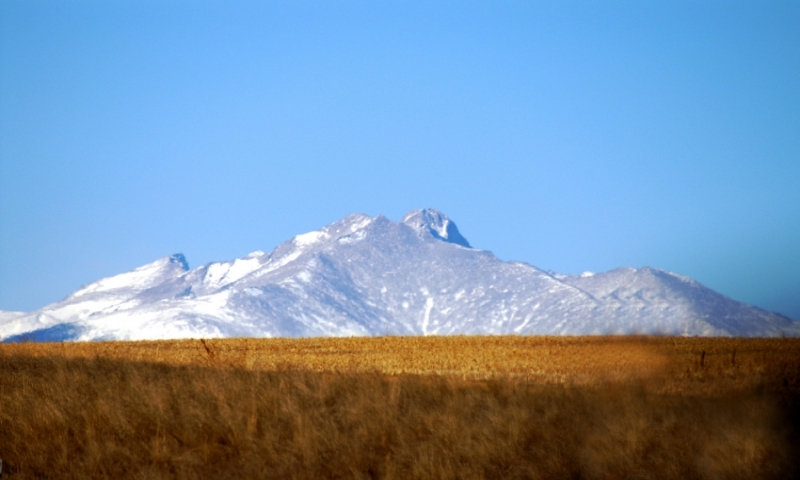 Longs Peak is typically free of snow from mid-July to mid-Sep. Mornings are prime for hiking with bright blue sky. The afternoon usually brings thunderheads. How much does it cost to hike Longs Peak? There is no fee to access Longs Peak! But there is a fee to access the park, and a fee for camping. Automobile passes cost $20, allowing access for seven-consecutive days. For current conditions of the Longs Peak Mountains call the Park’s Information Office: (970) 586-1206 daily 8am-4:30pm or read the Longs Peak Conditions Report. Scenic rock formation in Canyonlands National Park, Utah.